With our luxury quality and traditional craftsmanship, at Solo Perché, we pride ourselves on sourcing all our leather and crafting all our products in Italy. Leather craftsmanship has been a tradition long handed down for centuries from generation to generation. Leather work from these craftsmen has been among the greatest since the eleventh century when it all began in Solofri. The word Solofri comes from the Oscan word meaning wholesome. This craft was the result of local resources as there was easy access to plants such as chestnut and hazelnut and turkey oak that contain the tannin necessary to cure the skins, the rocks were used to produce lime and the water was plentiful. Leather should be cleaned regularly using a microfiber cloth to dust the surface. For a nice shiny look, use a damp cloth and saddle soap. If leather is dry, rub some moisture into it with a commercial leather polish. If the leather gets wet, air dry it slowly. To prevent color changes, leather products should be kept in a cool and dry place protected from the direct sunlight or heat. Do not store leather in a plastic bag or container because this can also cause discoloration. Italian leather is the most recognizable leather in the entire world because of its unique characteristics including a vibrant color palette. 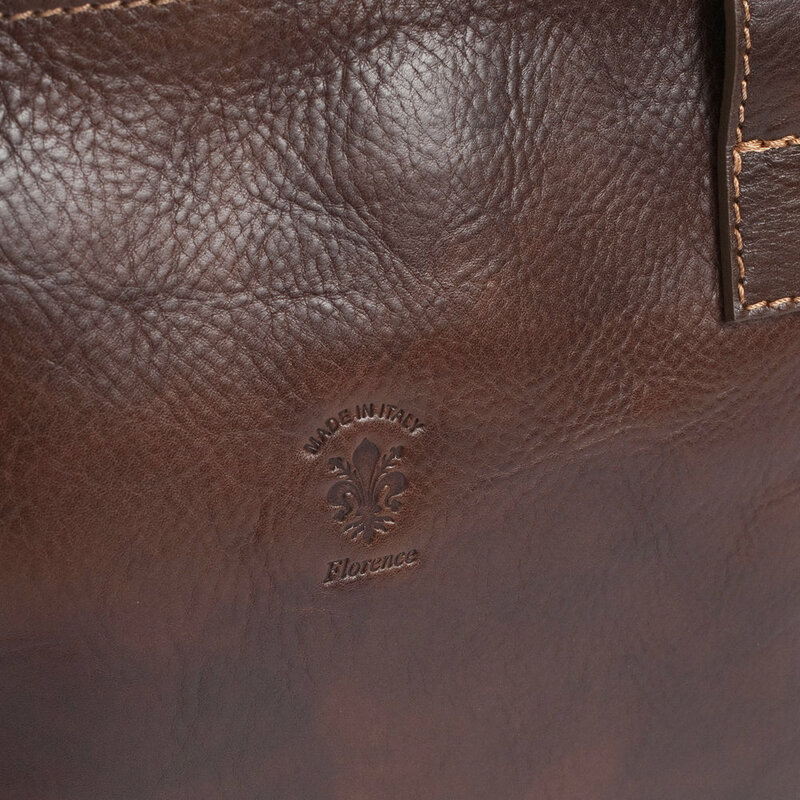 The finest quality Italian leather, including vegetable tanned leather comes from Tuscany, the heart of Italy. Vegetable tanned leather is one of the finest traditional leathers which has the best mixing recipes based on natural tannis extracted from trees, modern technologies and time. It is processed by active ingredients resulting in the transformation of the animal rawhide into compact and resistant durable material which lasts for years.